Taking a band on the road and bringing them back in one piece, still friends and wanting to travel together, is not easy. A lot of bands who hit the road to conquer the world with their music, end up returning home and then quickly breaking up, no longer friends nevertheless band mates. When my band was actively touring and traveling extensively through out the US, Canada and Mexico, we were forced to find replacements on more than one occasion, even though we were signed to RCA Records and having success. Invariably it had to do with the constant touring and the stress that caused inside the band. Every time we returned from a long tour, someone would quit and we would have to pretty much start over again from scratch. One member leaving can steam roll into two in a hurry if you don't move fast to find the right replacement. We went from a 6 piece group to a 3 piece in a two week period, with the first member giving his notice just hours after we signed with RCA. The fact is all bands break up. They either break up or members pass away, which leaves you with the same outcome. 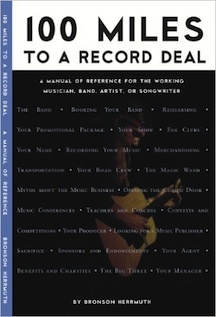 It's the main reason it is so hard to get a recording contract as a band, the labels and industry executives know you are going to break up. The big unknown is when, not if. Knowing this makes it hard for anyone in the industry to make a commitment to your band and stick their neck out for you, which has to happen at some point, for you to move up to the next level. Someone has to fly your flag at the label or you are not going to get signed, or stay signed, for sure. Convincing an industry executive to put their job on the line on your behalf will be much easier once you can show them that you are serious and committed, including proving that your band can tour successfully. Even if you aren't concerned with getting signed to a label, if you want to make a living playing music, at some point you are going to have to hit the road. Organization is crucial in order to have a successful tour. Unexpected changes will occur and the only thing you can do is to stay positive and be as prepared as possible to deal with them. Life will kick in and vehicles will break down, tires will go flat, the air conditioner or the heater will stop working, someone in the band will get sick. Countless things can go wrong or play out differently then you anticipated when you sat down to plan your tour. Every once in a while you even have good things happen too, so before you cancel your upcoming tour dates, keep reading. Everyone in the band and crew need to be on the same page as much as possible before you even pull out of the driveway. This is the starting point to having a successful tour. Making sure that everyone has as much information as you can give them of what is going to happen next. Understand that this info isn't just for them, it is for their families too. Tops on the list for reasons someone leaves a touring band has to be their significant other giving them an ultimatum. The band or me. You can make it so much easier on everyone's relationships by simply supplying them with all the info you can. Everyone knowing where you are going to be and when you are going to be there will go a long way to keeping everyone organized and playing nice. It is important to understand that once you have this system in place, you need to stick with it as best you can. I know there will be times you won't have all of this information available to you before you hit the road, but be sure to pass on what you do have. Just the fact that everyone in your organization knows that there is a plan and that you are striving to be as professional as possible will help you keep everyone cool and headed in the right direction. No one likes to be kept in the dark about their future and it can be tremendously frustrating to wait for someone to tell you what is going on and what is expected of you at the very last minute. I have sat in many a motel room for hour upon hour, waiting to get the details for a show that very night, only to get a frantic phone call telling me we leave in 30 minutes. Being able to plan ahead and be prepared, will relieve much of the stress associated with being out on tour and increase your odds greatly in regards to keeping your band together and willing to tour. One of my former managers summed it up best one day in a conversation we were having as our band prepared to hit the road for a tour. Everyone was pumped and excited, laughing and cutting up with each other as we loaded up the bus and got ready to head out. He pointed that out to us and said the thing that separates the pack when it comes to really being a good band and having a long successful run together, was being able to return from the tour in the same way. To be just as happy and excited about being in the band at the end of the tour, as in the beginning. To come home, already anxious to be heading back out as soon as possible to tour and perform again with your band mates. Not to drag back in whipped and fighting among yourselves because of negative things that happened on the road inside the band. Having a strong internal organization will go a long way toward your band being able to tour successfully by heading off potential disasters that are just waiting to occur, if you let things get out of control and lose your direction.